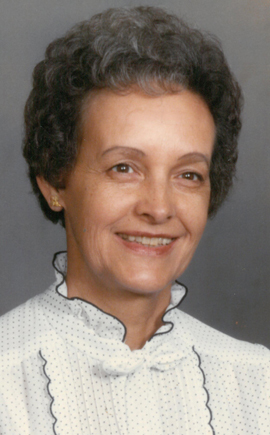 Dorothy Jean Tyler Freier, RN, was born Jan. 14, 1928, in Mitchell, S.D. She completed nursing school in Mitchell and married Melvin Robert Freier on Sept. 3, 1950. The couple lived the farm life in Tripp, S.D., and moved to Artesia in 1960. In Artesia, Dorothy enjoyed her nursing career at Artesia General Hospital, the offices of Dr. Henry Wall, Public Health Services, and then as school nurse for Artesia High School, Park Junior High and Zia Intermediate School, where she touched many lives. She retired from the schools in 1990, moved to Las Cruces to be close to her young granddaughters in 1991, and then to Lubbock, Texas, where she lived until 2016. Dorothy enjoyed cooking, playing bridge with her friends, sewing, the orchestra, and playing with her granddaughters. She was famous in Artesia for her apple and sauerkraut strudels. When still able to sew, she started a “business” whereby she rescued and revived Beanie Babies. She was an avid cello player and performed in the Roswell Symphony Orchestra. She was a member of Lakeridge Methodist Church and First United Methodist Church in Lubbock, and First United Methodist Church in Artesia. Dorothy’s family and friends know that she was never to have uttered a bad word or even an angry word. She will always be remembered as a kind, gentle, patient soul. As a nurse, and in her personal life, she lived the life of service. She was always more concerned about other people’s health, wellbeing, and emotions than she was about her own. Survivors include her daughter, Patricia Freier; son Kent Freier; two grandchildren; and many nieces and nephews. She was preceded in death by her husband, Melvin; sisters Georgia and Marty; and brother Ray. The family suggests memorial contributions be made to Covenant Foundation (for Palliative Medicine), 3623 22nd Place, Lubbock, TX, 79410. Arrangements are under the direction of Resthaven Funeral Home & Memorial Park of Lubbock. Condolences may be expressed online at www.resthavenfuneralhome.com.